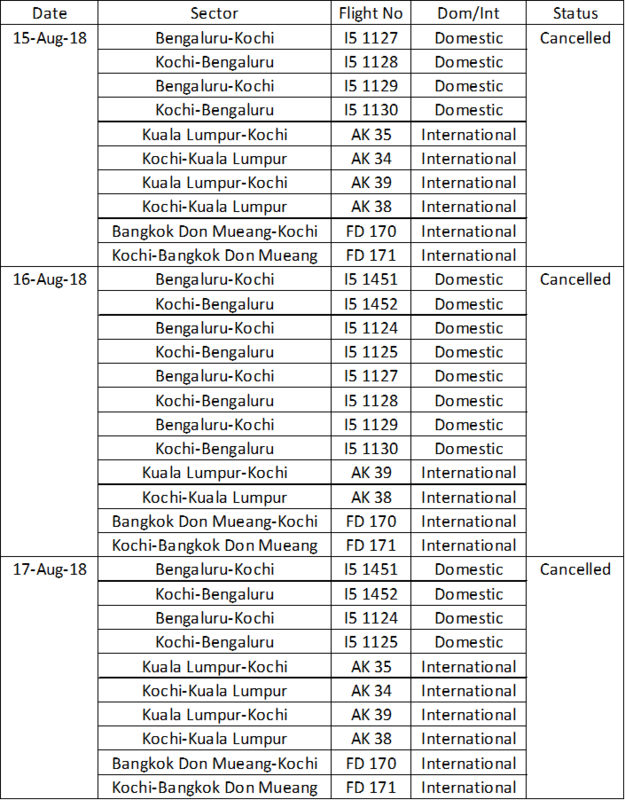 SEPANG, 15 August 2018 - AirAsia will be cancelling some flights to Kochi, India from 15 to 17 August 2018 due to the suspension of operations by Cochin International Airport following heavy rains in Kerala state. Guests who wish to move flight or reroute are required to provide a new flight date and time as well as passenger name(s) to our Customer Support team via Twitter (@AirAsiaSupport) or Live Chat on support.airasia.com. Update (6.15pm, 15 August 2018): Added Reroute service recovery option and additional Customer Support channels.